The 8 Minute Surgery That Will Give You Superhuman Vision. Forever. A new bionic eye lens currently in development would give humans 3x 20/20 vision, at any age. The lens, named the Ocumetics Bionic Lens, was developed by Dr. Garth Webb, an optometrist in British Columbia who was looking for a way to optimize eyesight regardless of a person’s health or age. With this remarkable lens, patients would have perfect vision, ending the need for driving glasses, progressive lenses, and contacts, all of which are set to become a dim memory as the eye-care industry is transformed, CBC reports. Even better is the fact that people who get the lens surgically inserted will never get cataracts, because the lens replaces that of their natural eye, which inevitably decays over time. Webb says that anyone over the age of 25 is the best candidate, because that is when the eye is fully developed. 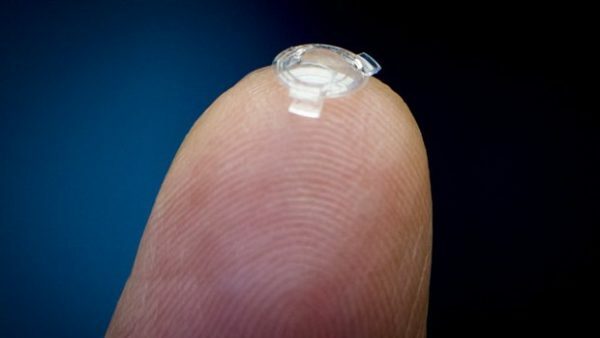 The lens, which would be custom-made, is folded like a taco in a saline-filled syringe and placed in the eye, where it unravels itself within 10 seconds. Webb says that the surgery can be done within 8 minutes and immediately corrects a patient’s vision. The project has been in the works for the last eight years, Webb told CBC, costing about $3 million in research and development fees, along with the acquisition of international patents and the securing of a biomedical manufacturing facility in Delta, B.C. His mission is fueled by the “obsession” he’s had to free himself and others from corrective lenses since he was in Grade 2, when he was saddled with glasses. Webb’s efforts were recently recognized after he presented the lens to 14 top ophthalmologists in San Diego during a gathering of the American Society of Cataract and Refractive Surgery. Surgeons from all around the world were intrigued by his “clever” design, Webb says. “I think this device is going to bring us closer to the holy grail of excellent vision at all ranges — distant, intermediate and near,” said Dr. Vincent DeLuise, an ophthalmologist who teaches at both Yale University and Weill Cornell Medical College in New York. Webb is hopeful that his lens will do away with the need for laser eye surgery, a procedure that still isn’t as efficient as it could be. “Perfect eyesight should be a human right,” he says. Maybe technology is the key that will unlock our superhuman traits. Who knows.